A recurrent challenge in applied ethics concerns the development of principles that are both suitably general to cover various cases and sufficiently exact to guide behavior in particular instances. In business ethics, two central approaches—stockholder and stakeholder—often fail by one or the other requirement. The author argues that the failure is precipitated by their reliance upon “universal” theory, which views the justification of principles as both independent of their context of application and universally appropriate to all contexts. The author develops a contextual interpretation of “constructivism” as an alternative approach, and argues that this alternative meets the above challenge. Bates, B. C., Kundzewics, Z. W., Wu, S. & Palutikof, J. P. (Eds.) (2008). Climate change and water: Implications for policy and sustainable development. In Intergovernmental panel on climate change. Technical Paper VI. Retrieved December 15, 2011, from http://www.ipcc.ch/pdf/technical-papers/ccw/chapter7.pdf. Economist. (2005). Special report: A survey of corporate social responsibility. Retrieved January 20, 2005, from http://www.economist.com/node/3555212. Economist. (2011). Diving into the rich pool. Retrieved September 24, 2011, from http://www.economist.com/node/21530093. Harris, G. (2012). Citing drug resistance, U.S. restricts more antibiotics for livestock. New York Times. Retrieved from http://www.nytimes.com/2012/01/05/health/policy/fda-restricts-use-of-antibiotics-in-livestock.html?scp=1&sq=FDA%20restricts%20use%20of%20antibiotics%20in%20livestock&st=cse. Pogge, T. (2009a). Global public policy: Definition and globalization. Retrieved from http://www.ony.unu.edu/events-forums/new/GPP/2009/global-public-policy-roundtabl.php. Rossouw, D., & Christoph, S. (Eds.) (2012). 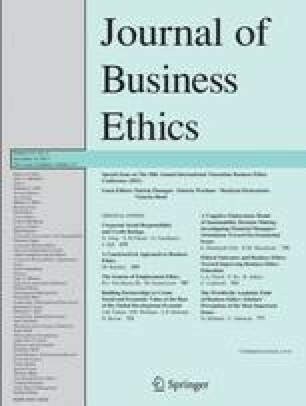 Global survey of business ethics: Teaching, training and research (Globethics.net). Retrieved from www.globethics.net. UNDP Human Development Report. (2003). Millennium development goals: A compact among nations to end poverty. New York: Oxford University Press. Retrieved from http://hdr.undp.org/en/media/hdr03_complete.pdf. US v. Microsoft Corp. (1998). 97 F. Supp. 2d 59—District Court, District of Columbia. Retrieved from http://www.justice.gov/atr/cases/f1700/1763.htm.